David and I don't have a garage (what used to be our carport is now the slate room/family room that we just made over), so our basement currently serves as our garage. Think random items (bike racks, tennis rackets, the norm) strewn everywhere. You can see a few pictures of the space on my house tour. While there's an incredible workshop area that covers most of the space, about one-third of the basement is finished and is a completely usable room of the house. It just needs a little bit of work. But because there are only two of us around the house, the entire lower level has yet to become a used space. Long story short, David and I are now ready to start making the space ours. We want our friends and family to be able to feel comfortable in the space, since it's right next to the pool, outdoor patio and backyard. Aaaaanyways, because the basement's current garage-like state doesn't exactly exude comfort, we've decided to start sprucing up the basement so that it will become a comfortable, usable space. Of course, I'll keep you updated as we do so! I started the basement makeover at the entry of the room: our basement stairwell. 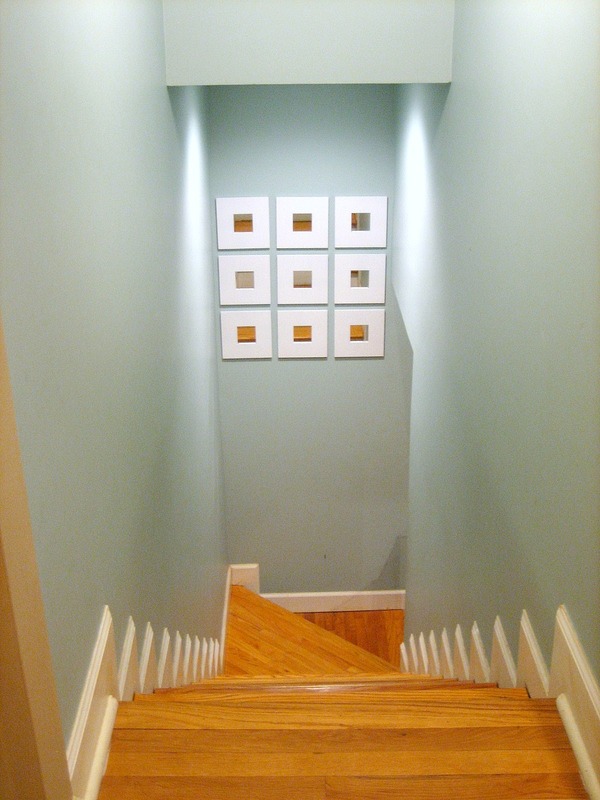 The stairwell is open to the hallway on the west side of our house, just past our office and in the same hallway as our guest bedroom and master bedroom. 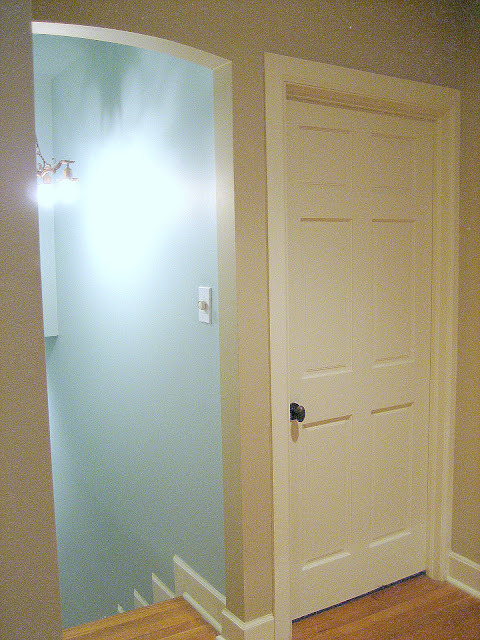 As you can see, the hallway is beautifully painted and has a kickin' chandelier (both compliments of the previous homeowner), but has little else in the way of decor. 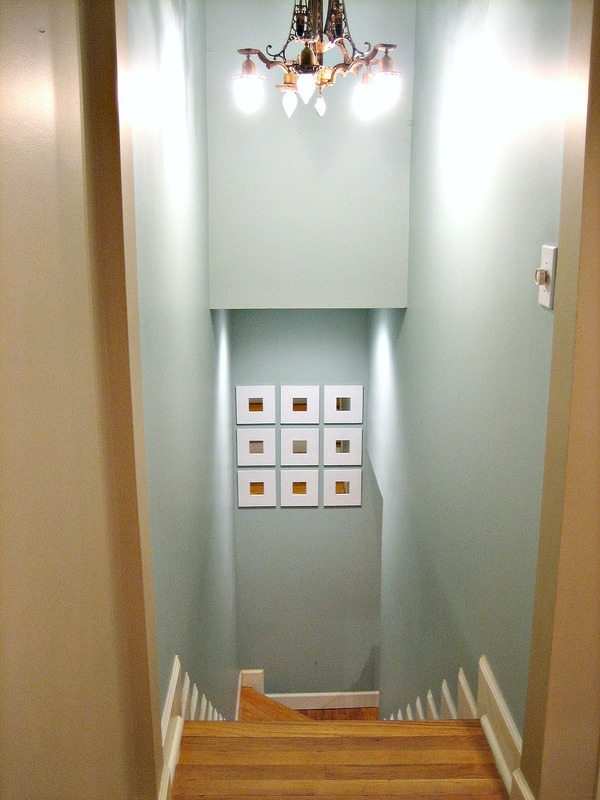 With thoughts of building a bit more dimension and light to the hallway, I decided to add mirrors. 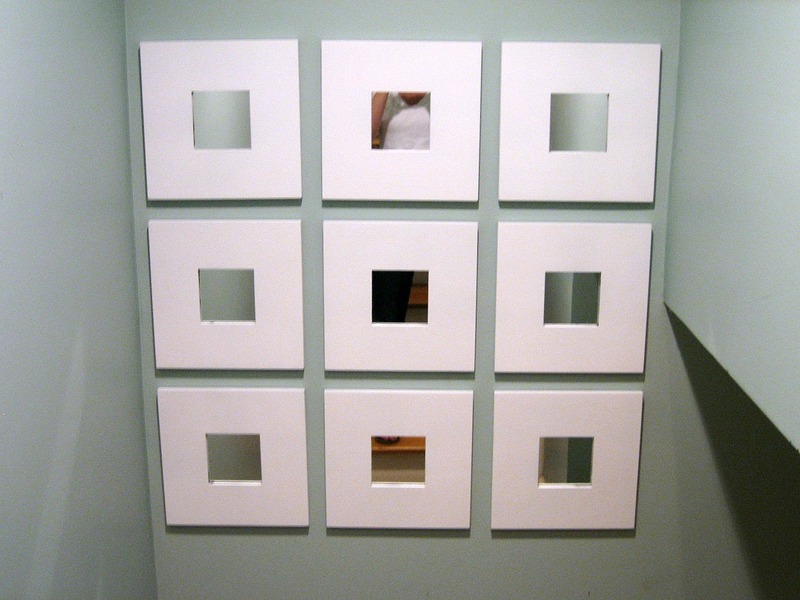 Do you remember the Ikea mirrors that I tried above my fireplace in my living room? I didn't love them above my fireplace, but I thought it was time to give them another try elsewhere in the house. 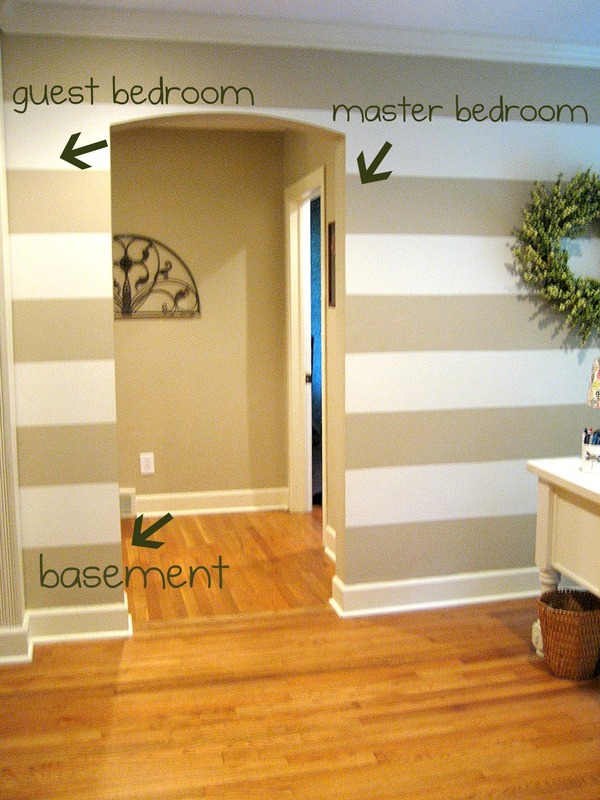 Add a coat or two of primer, white spray paint and a couple of Command strips and... boom! The hallway decor is born. I'm thinking it looks great! What do you think? 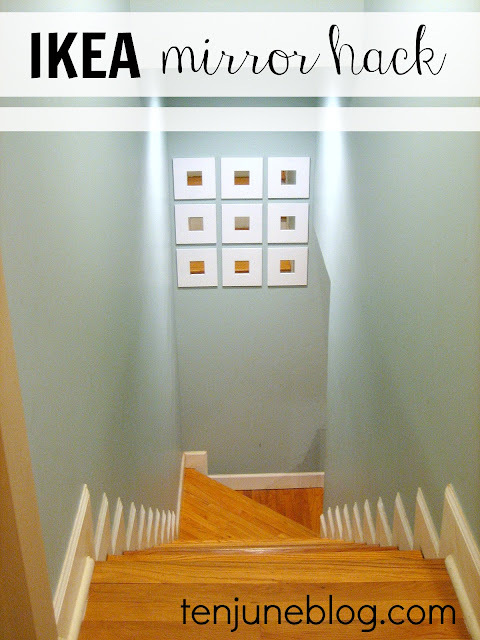 It definitely livens up the hallway and creates a more fun, welcoming entry into our basement. I love it! In fact, I wouldn't mind adding a few more rows of mirrors to the set. Bigger is better, right? It's definitely a good start to our basement makeover! 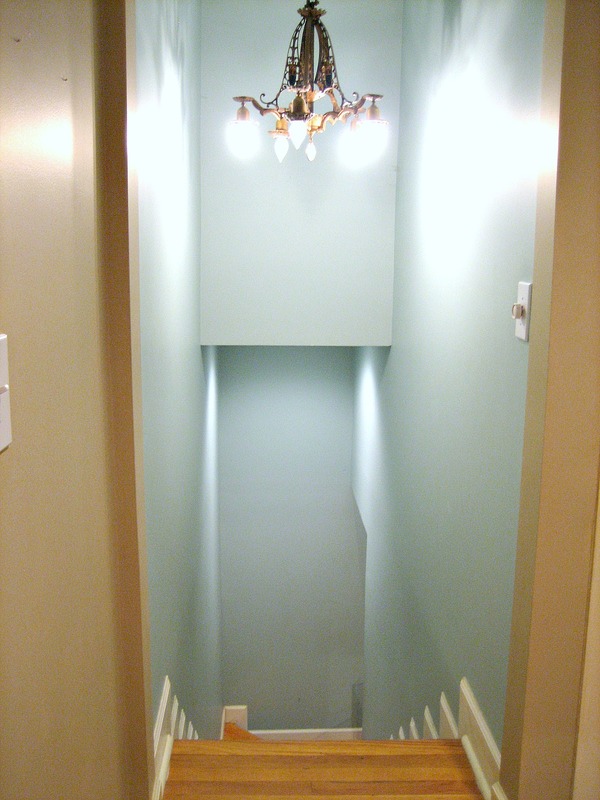 To learn more about our basement, check out these posts! Looks beautiful! I love your wall color too! Enjoy the baby!! While we enjoy this post! I love how mirrors open up a space! Looks great! I like it! Good choice for that space. Ooh really good choice for the space. Such a stylish look! I bought 9 of those mirrors at a garage sale! (Malma I think they're called??) I was going to do something fancy with them for my daughter's room, but I'm liking the plain white! I love them in white and to have spacing so you can see the wall color in between, great choice!